Each year the flu immunisation programme helps provide protection to individual children. Children under the age of five have the highest hospital admission rates for flu compared to other age groups. The immunisation programme also reduces the spread of flu to their families, younger siblings, grandparents and the wider community, protecting others who are at increased risk of becoming seriously ill from flu. 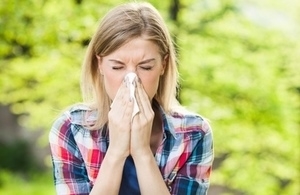 Vaccination is in the form of a nasal spray. Children less than 2 years old, but over six months of age, with a long term health condition that puts them at increased risk of flu should also have annual flu vaccination. 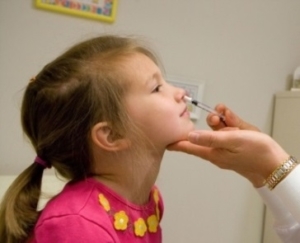 Children under the age of 2 will be offered an injected vaccine as the nasal spray is not licensed for them. All children who are aged two and three years old can get the vaccine at their general practice. A programme for schools runs alongside the preschool programme and all those in reception class and school years 1 to 5 will be offered flu vaccination this autumn in their school. Regularly clean surfaces such as tables, and door handles which can also help to get rid of germs. Protect yourselves. Young children are frequently “spreaders” of flu germs, by accessing the vaccine you will protect yourselves, your family and those you work with. This is given as one injection and is a booster dose of these vaccines which were given during the first 4 months of life. When children attend for their pre-school immunisations it is important to make sure all their other immunisations are up to date. The GP practice will have a record of immunisations children have received.